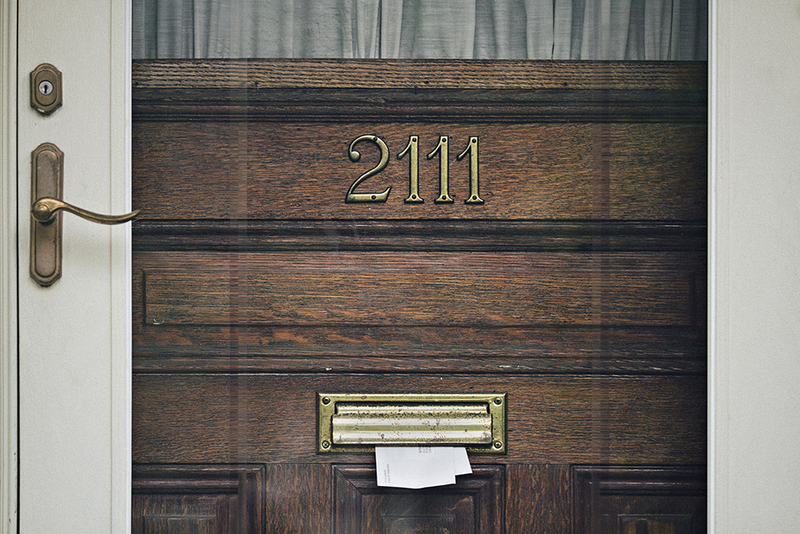 Without setting out to do so, I’ve embarked on a project, making many photographs of mailboxes. I made my first mailbox picture when we were home visiting family in the small town of Colonial Beach in Virginia’s Northern Neck. Needing a break from the family part of the family reunion, I took a walk with my camera in hand. It seemed nothing much had changed in the town, and this observation mirrored my feelings over family dynamics. But looking through the camera lens can make common subjects fresh. The row of mailboxes alongside what used to be the pharmacy, just across from the old Esso gas station, caught my attention. 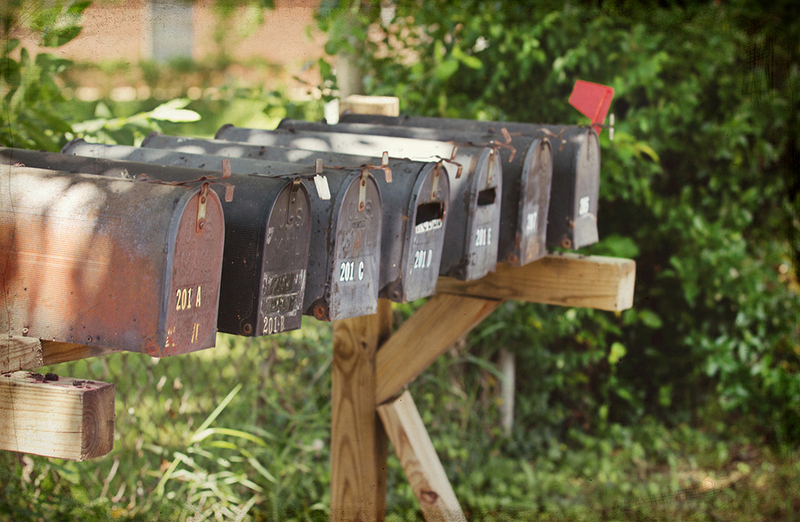 The day was sunny and the dappled light framing the mailboxes seemed an open invitation. Inspired, I walked across the road and photographed the leading line of the mailboxes. I tried to make sense of which mailboxes and houses might go together, but they seemed oddly disconnected. And for as many times as I’ve reached into a mailbox for good mail, these mailboxes seemed desperately empty. From this humble place, I began a collection. I’ve accumulated more than a dozen photographs of mailboxes taken within an hour’s drive from my home. The photographs in this series document moments when light and subject converge in a particular place, calling for attention, and infusing familiar scenes with meaning. 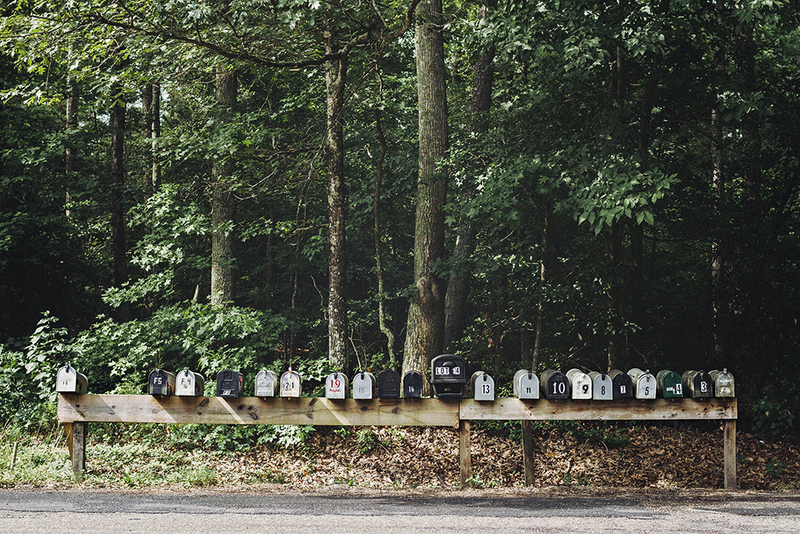 Most come from rural routes and country roads, a few from small towns and cities, but none from subdivisions with mandated mailbox conformity. These mailboxes sit on stoops. They perch on single poles before white picket fences. They line up at trailer parks and campgrounds. They welcome visitors to farms and old home places. They dot the sides of winding back roads and mark dead ends with no turn-arounds. 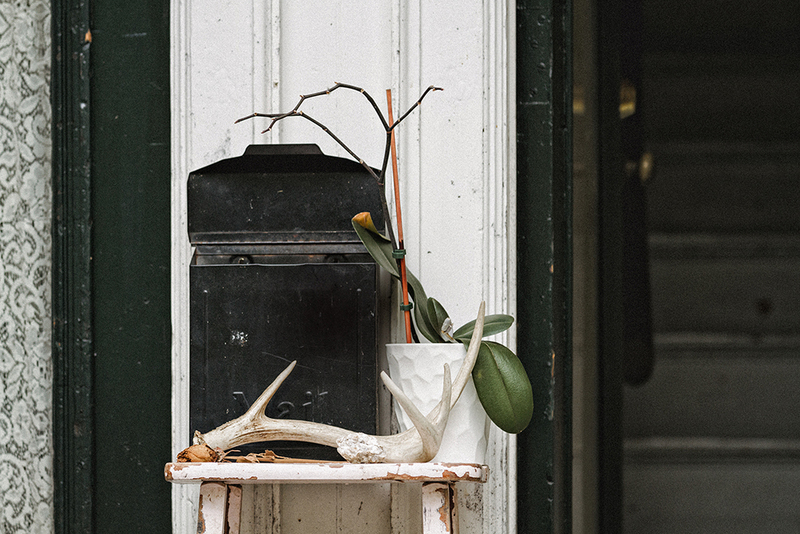 Every home has a mailbox and in some manner, the mailbox, sits as a testament to faith as though we need to believe good news might arrive any day. 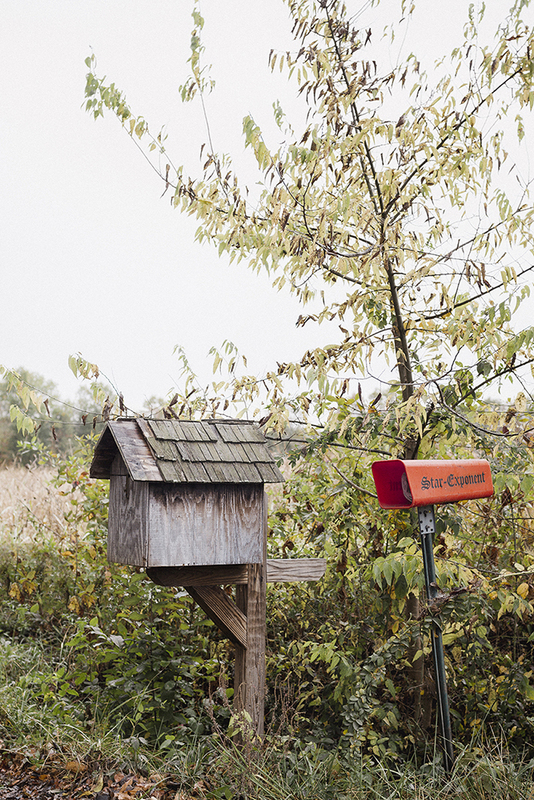 Mailboxes stand as a kind of sanctuary against change. Our conversations are now mostly by way of email and texting, but for all the connection the internet provides we are still often left lonely and lost and longing. 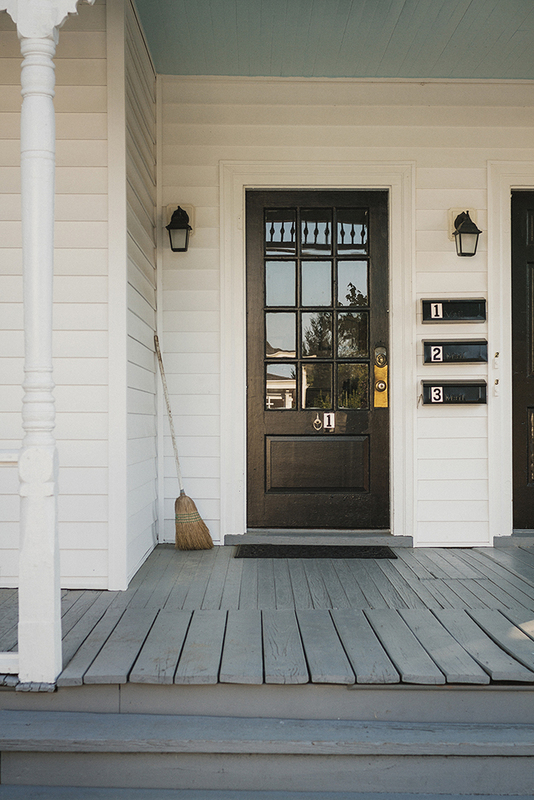 Walking to the mailbox is a daily meditation for many folks. The quarter mile down the lane, along the wire fence nearly covered in poke weed, leads to the galvanized metal mailbox, where hope is delivered. In my own home, we race to see who can get to the mail first. Even though the mail is mostly junk, we live for the days when the mail has real handwritten letters and cards for us. We recall with joy the college acceptance letters, with solace the cards that came when my father passed away, and with gratitude the notes of encouragement that arrived when cancer made itself at home with us. Delivered directly to me by the Postal Service, thank-you’s and invitations along with postcards and letters keep me in good company. 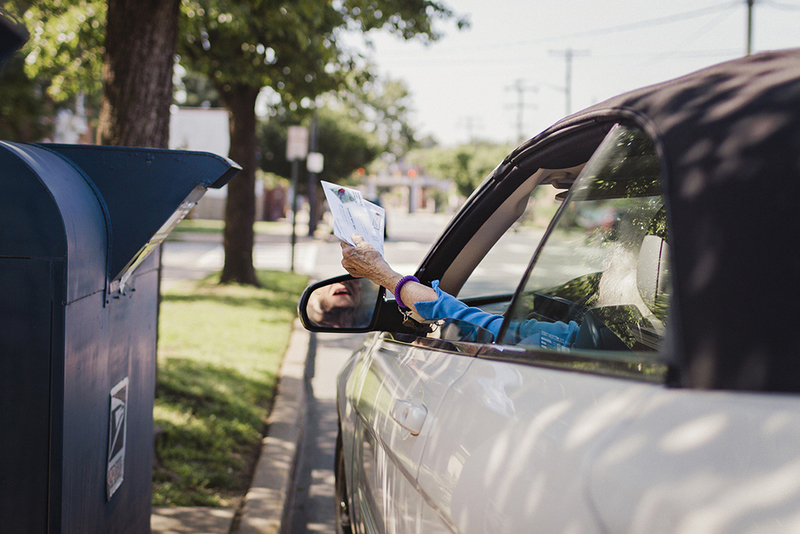 The miles between are dissolved by the simple act of raising the flag for outgoing mail. 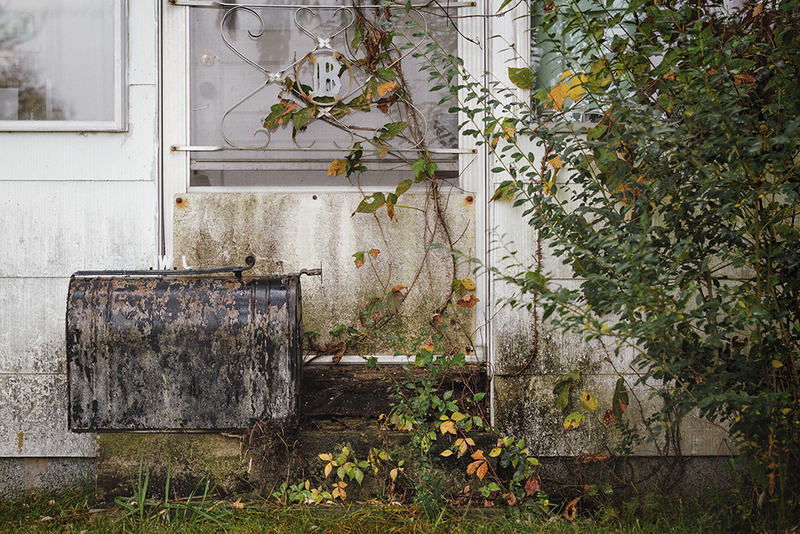 When I stop and think about why I photograph mailboxes, the answer is fairly simple. I guess I just like the idea of mail.